Here are two anthologies of poems in a series designed to grab children's attention with colourful covers and exciting subjects. With Tongue Twisters and Tonsil Twizzlers, you can put your mouth around some tantalisingly tangled and seriously scrambled stanzas: wanton word play that precipitates pupil participation. And, as anthologist Cookson regularly visits schools, the poems have probably been thoroughly tasted and tested by upper juniors and lower secondarys. Be warned though, relentless rhyming can turn tedious, so enjoy in bite sized bits. 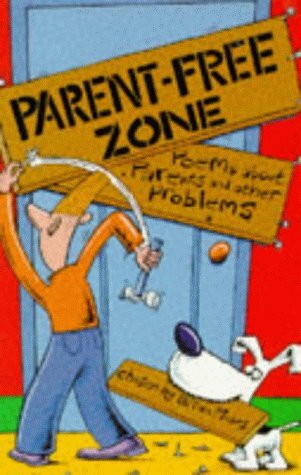 You might think that the poems about fractious parents that Parent-Free Zone offers would be likely to keep tedium at bay. Again, be wary. The embarrassing foolishness of the older generation can only go so far. Michael Rosen was doing this brilliantly a long time ago and none of the poems collected here by Moses can rise to the surrealist heights of 'clear the fluff out from under your bed'. They are mostly content to stay at sitcom level. It is good to see a publisher intent on making poetry accessible and collecting the work of poets who perform regularly for children. But can I ask Macmillan why Doin Mi Ed In, a collection of rap poems, perhaps their most adventurous poetry title, and with appeal to secondary age children, is out of print?